There are many benefits of meditation, but the best, in my opinion, is that is can reduce stress, making us feel more relaxed and in control. As a parent life can be stressful. Even kids experience a lot of stress. Then add on work (whether at home or outside the home), and social expectations. Plus well-meaning friends and relatives… And the stress just piles up higher and higher. Children aren’t immune to stress, either. School demands, ever changing social dynamics, extracurricular activities, their desire to please their teachers and you, sibling fighting, and more. It’s important to find a way to reduce that negativity. But it can do so very much more than simple stress relief. The benefits of meditation are huge. Believe me, I know what you’re thinking. I know, because I was in the same mental place as you at one point. 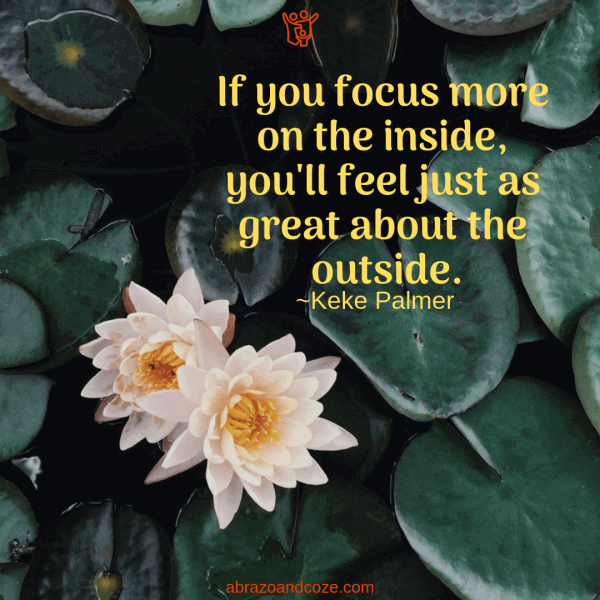 I knew meditation was good for stress relief (but didn’t know all the other amazing benefits – we’ll get to those shortly), but how the heck was I supposed to fit yet another task into my already busy day?! That sounded like even more stress, not stress relief. During periods of stress, our bodies release a variety of hormones that can have a significant negative impact on our bodies and minds. But surprisingly, not all stress comes from negative circumstances. Fortunately, however, stress from positive circumstances is balanced out by other body responses, including a barrage of various other hormones, so the overall effect ends up being positive. A good takeaway point would be that happy events have a positive benefit to your mental and physical health. Fortunately I learned just how little time meditation needs to take to be effective. And I learned how easy it can be. Twenty minutes a day, at the start of your day, on your lunch break, in the evening instead of a television show, or right before bed. Twenty minutes a day is all it takes to reap the benefits of meditation. 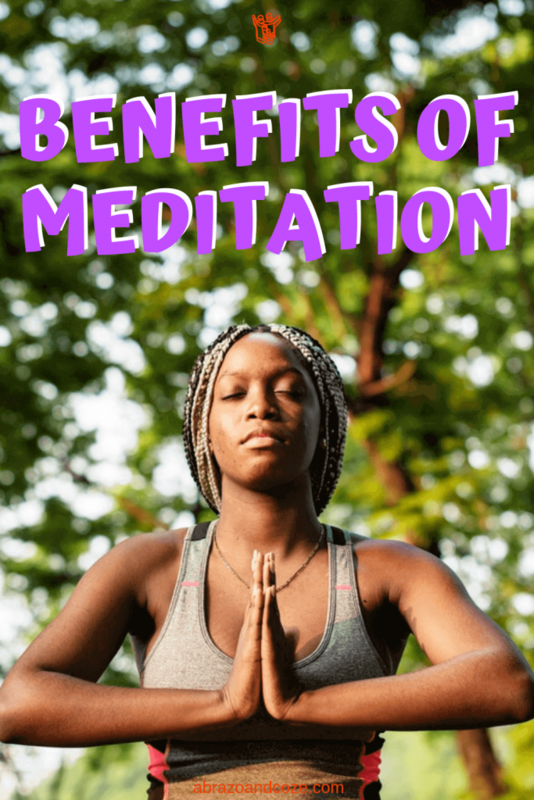 Before we jump the gun and learn how to meditate, however, we will go over the information you were looking for when you found this article: the benefits of meditation. So now that we’re on the same page regarding what stress is, you’ll be able to understand the importance of learning some meditation techniques to mitigate the negative factors associated with stress. What now? Do you and your kids just sit cross-legged and recite a mantra, “Om, Om, Om”? Not just yet (or at all). First, let’s go over some of the other health benefits of meditation. One of the health benefits of meditation is that it can decrease your stress level when you need to multitask and can help you keep stress at bay when you’re faced with challenging situations. Meditate each morning and you’ll be more mentally prepared to tackle struggles thrown your way that day. Yes, that means when you’re busy making lunches, ensuring your older kids are out of bed, ensuring your younger kids have eaten breakfast, everyone is dressed, and daycare and school forms signed and in backpacks and your kids start squabbling, you’ll be less likely to blow a fuse. Additionally, you’ll improve your focus. When your littles are chattering away, you’ll have the ability to actually pay attention to what they’re saying rather than your thoughts drifting off to plan supper. Your children will be set for a productive day at school, better able to focus on the lessons. Yet another one of the benefits of meditation is that it can improve your memory. Yes, it’s true. Studies have demonstrated an increase in memory for those who meditate over those who don’t – even if you haven’t been meditating for very long. What that means for you, is that that legendary “baby brain” will be alleviated. As a side note, I have always wondered why they call it “baby brain” – that reduction in memory seems to last well into the toddler years. Sometimes even longer! Either way, wouldn’t it be great to give up the “baby brain” and get your own back? I’m sure you can see how improved memory will help your children, too. Not only better grades at school but also better memory at home… Perhaps they’ll need fewer reminders to get their chores done, do their homework, or to pick up after themselves. Another amazing fact, as one of the benefits of meditation you can expect a boost in your immunity. According to science, you’ll be ill 50% less than without meditation… That’s even better than those who participate in sports – another way to improve your immunity. That means fewer days off work. And fewer days struggling to get through the day, hoping your children will be content to do their own thing, simply because you’re too sick to be engaging. If you have your children meditate as well, they will also see the benefits of meditation, including fewer missed days of school. One of the most notable benefits of adding meditation to your morning routine or bedtime ritual is the boost to mental health and wellbeing. People who meditate regularly are 75% less likely to report feeling depressed, 30% report feeling less anxious, and are more likely to report higher feelings of wellbeing. For those of you interested or talented in the arts, you’ll be delighted to learn that meditation boosts divergent thinking and restricts convergent thinking. In layperson’s terms that means meditation fosters creativity. Heart disease and stroke are drastically reduced through meditation. This fact might not be as relevant to you if you’re a younger parent who lives an active lifestyle with a varied diet. 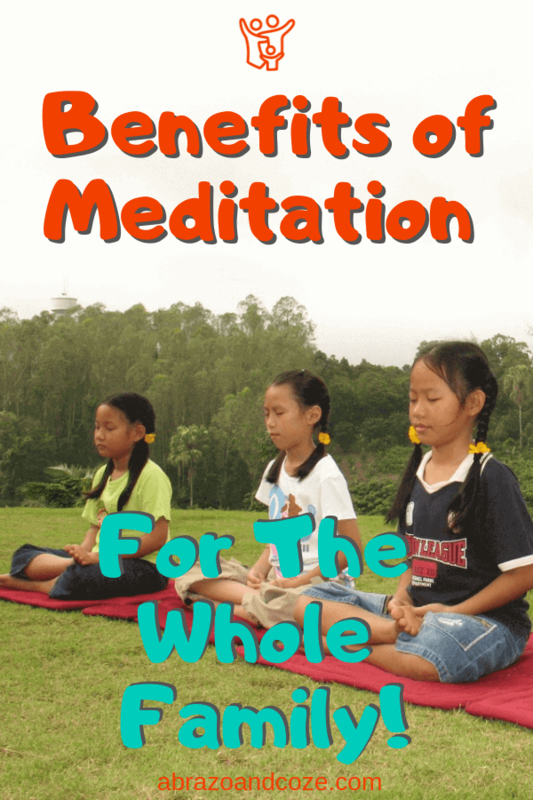 But as a long term benefit of adding meditation to daily routines, it is worth noting, especially for your children. Similarly, lower blood pressure is also a benefit for the long term. Parents, however, aren’t the only family members who can reap the benefits of meditation. So can your children, if you make it a family event. By starting young, you’ll be setting up yourself and your children to live a longer, healthier life. I know death isn’t something we want to think about, especially when you’re young, or when you have a family that depends on you. But sometimes, it’s a necessary and unavoidable topic to consider. Meditation really can lengthen your life. On a separate line of thought, but equally important to some is that meditation can reduce chronic inflammation, and thereby result in less pain for sufferers of those diseases and disorders. For that reason, asthma, rheumatoid arthritis, fibromyalgia, and inflammatory bowel disease can also be relieved through meditation. Clearly, meditation is not a cure, but it can help manage pain associated with these conditions. 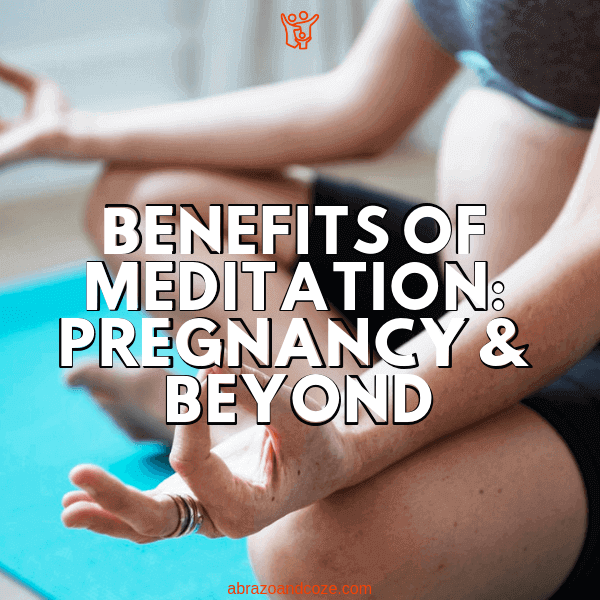 A benefit to some is that meditation has been shown to relieve premenstrual syndrome symptoms. A benefit to some others is that the same study shows a decrease in menopausal symptoms. As well, meditation was correlated with an improvement to autoimmune disorders, epilepsy, and some emotional disturbances. Empathy and positive emotions are improved with meditation. Similarly, it has a positive effect on social interactions. In fact, meditation can relieve social isolation because those that meditate are more likely to find interactions with new people to be a positive experience. 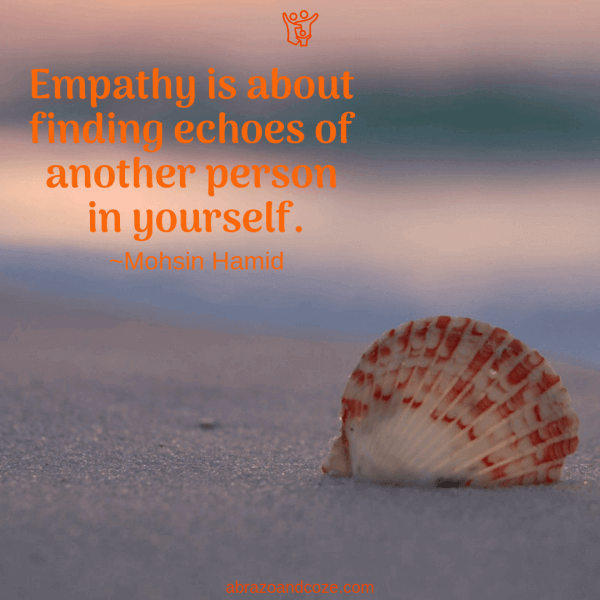 The empathy, positive emotions and increased connection we feel for others can have a lasting effect on our life experiences and perspectives. With those feelings of anxiety and worry abated, and loneliness and social isolation reduced, one might also reasonably expect to see a corresponding reduction in emotional eating. In turn, that could help maintain a healthy weight. Perhaps most surprising of all is that meditation can reduce age and racial bias, according to this study. So now that you know the extensive (and surprising) benefits of meditation, what now? Don’t worry, it’s not hard. To get you going, here are two really easy meditation techniques: binaural beats and Kirtan Kriya. Binaural beats takes 10 minutes of meditation daily to be effective. You can begin to notice results after only a few weeks. Ideally, it will become a pleasant daily habit. Binaural beats have a lot of neuroscience behind the meditation. Basically, it is a frequency of sound, heard through both ears, that syncs with your brain’s theta waves. This synchronization puts the listener into a trance-like state. Ancient cultures often had rhythmic beats as part of their ceremonies or dances, which synced with the binaural beats within their brains. Some of the North American indigenous people have drumming events that take advantage of this natural phenomenon. You can find binaural beats meditation tracks on phone apps, on CDs, and in MP3 files. But one of the ones I use most is on YouTube. It is not only a binaural beats meditation but perhaps, more importantly, it respects the origin of this type of meditation. It is created by indigenous people of Australia and is quite interesting to listen to with the sounds of didgeridoos and other instruments. Plus, Monkey, who is sensitive to some sounds, doesn’t freak out when I play this video, like she has for others I’ve tried. Your eyes can be open or closed when you do this meditation. It is best to be laying or sitting comfortably before you begin. Use earphones for the best results, as the stereo sound input has a better effect. Kirtan Kriya meditation has been shown in studies to have significant positive benefits with in only twelve minutes a day. Results can typically be seen in as short as two weeks with daily meditation. Although this meditation can be done quite easily without guidance, it is best, in my opinion, to follow a video until you are comfortable with the sounds and movements of Kirtan Kriya meditation. In this meditation, you should be seated cross legged, eyes closed. If that isn’t possible, then seated in whatever way you are able. Your hands should rest comfortably on your knees. Kirtan Kriya has an easy mantra as part of this meditation. The sounds of the mantra are: sa, ta, na, ma. On “sa” you press your first finger and thumb together on each hand. Then move to press your second finger against your thumb on “ta”. Your third finger presses your thumb when you vocalize “na“. Finally, on “ma” you press together your thumb and fourth finger. Ideally upon completion of the meditation, you allow yourself a minute of silence to take full advantage of the relaxation. Then a quick arm stretch to finish. This is one of the videos I liked when I first learned the Kirtan Kriya meditation. He explains the steps very clearly so you can meditate independently, if you like. Once you have a basic understanding, you’re ready to meditate. Here is a pleasant, easy to follow track to guide you. There you have it. Two meditations, that together take only about twenty minutes of your time. Those twenty minutes have the power to change you life for the better. Better heart health, better memory, better mental health. More creativity, more social connection, more positive emotions. Once you’re accustomed to doing a daily meditation, you can learn how to meditate through other methods. Encourage your children to take part, too, and not only will it become a pleasant family event, it will bring a moment of peace to your daily life. What type of meditation have you done? Did you know meditation had so many positive benefits? Tell me all about it in the comments below.